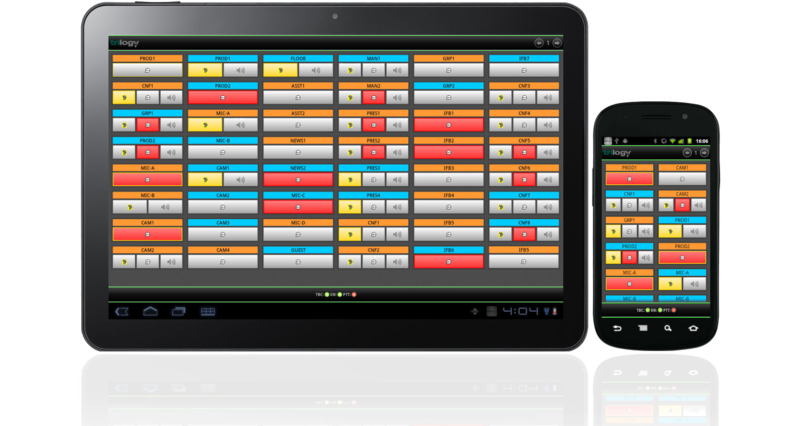 The Trilogy Virtual Panel is a software application which installs on a variety of devices such as smartphones, tablets, desktop PCs & laptops, supporting a range of popular platforms (Windows, Android, iOS and Java enabled web browsers). This cutting-edge application brings a whole new level of flexibility and cost effective access points into a powerful intercom system - just choose your favourite device and platform, install the application and go! Designed with flexible work solutions in mind, the Virtual Panel enables remote users to access the full audio capabilities of the intercom system from anywhere, at any time, and be up and running in minutes without the need for dedicated operator hardware. Individual users will access the intercom via a familiar, modern software panel screen on the chosen device and a SIP connection over standard network (either wired, wireless of a combination of both). Having the audio managed by a SIP connection means the panel users are truly flexible as there is no physical connection to any dedicated hardware - it's all in the cloud. Panel users will have access to multiple simultaneous voice channels for direct and conference style communications and can be used for routing audio. A simplified version of the application is avaiable for "beltpack" users such as camera operators and floor managers. This version has less keys and a dedicated programme listen key with it's own level control. A Bluetooth connected PTT switch can be used to enable a preselected route, allowing the beltpack to be locked and carried in a pocket out of harms way. Virtual panels can also connect using 3G/4G mobile phone networks, allowing the operator to be anywhere there is coverage and to still be part of the larger communications network.